The live seated collective music experience can make a seemingly passive event into a mentally stimulating engaging experience for older patrons. Using a variety of methods, we will apply archival data, observational and participatory research to measure our indicators and test our hypothesis during the Cabrillo Music Festival at the Civic Auditorium. Two researchers will be attending the event and observing audience characteristics, i.e. age, gender, and ethnicity, and audience behavior that conform to a list of proxies, i.e. reviewing the program, body movement with the music, leaving the concert early, intent listening and facial expressions. During intermission, two other researchers will extend audience observation in and around public spaces, i.e. the lobby, courtyard, and street, with a focus on conversations related to the concert experience. This method will help provide insight on the audience demographic and attitudes expressed through the musical event. Additionally, at the end of the show, two researchers will be stationed by the nearby parking lot with an interactive scatter chart and will facilitate data collection with the Cabrillo attendees returning to their cars. 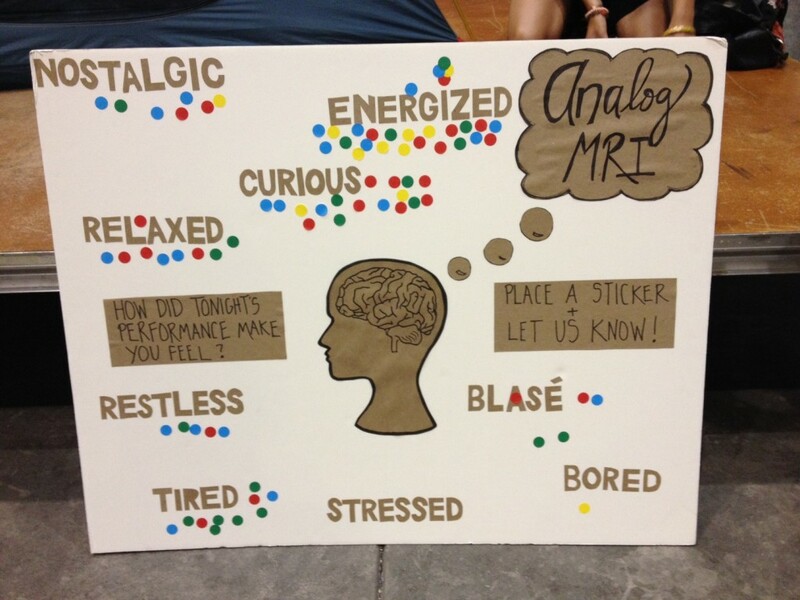 The scatter chart, called the Analog MRI, is populated with words expressing positive and active emotions such as “nostalgic”, “energized”, and “curious”, as well as words expressing negative and passive emotions, such as “bored”, “tired,” and “blasé.” Attendees are asked to post a sticker on the words they related to best after experiencing the concert. This method will provide a visual expression of the attendees’ emotional state after the show. We will also use archival data by the National Endowment of the Arts Study of Public Participation in the Arts, the League of American Orchestras, the Santa Cruz County Community Assessment Project 2013 on audience participation and demographic information. Based on our own observational research, this will either provide a clearer understanding of the attendee demographic. In conclusion, these combined methods will offer a richer understanding of the inner experience of an older audience segment during a live, collective, seated music event. Nationwide, 8.8% of all adults, or 20.7 million people, attended at least one classical music event in the 2012 survey year. Music viewing and/or listening is the most popular form of media arts participation captured by the survey whether the medium was TV, radio, or the Internet. Adults between the ages of 35 to 54 reduced their attendance in classical music from 2008 to 2012, but this trend is much bigger than classical music. Participation rates in the narrower range of 35 to 44 declined in musical theatre, non musical theatre, outdoor performing arts festivals, art museums and galleries, historic and design tours, and reading of any kind. Where is this group turning? The 35 to 54 age range increased their movie going. < 5 5.6% 5-19 20.1% 20-34 21.9% 35-59 34.2% 60+ 18.1% LANGUAGES English only 68.1% Language other than English 31.9%, highest being Spanish at 35.5% EDUCATION SANTA CRUZ COUNTY Adults 25+ High school or higher 86% Bachelor’s degree or higher 38.3% It is well-known in attendance research in most Western countries, that the greatest predictor of attenadance is education. The level of education in the city of Santa Cruz is extremely high. 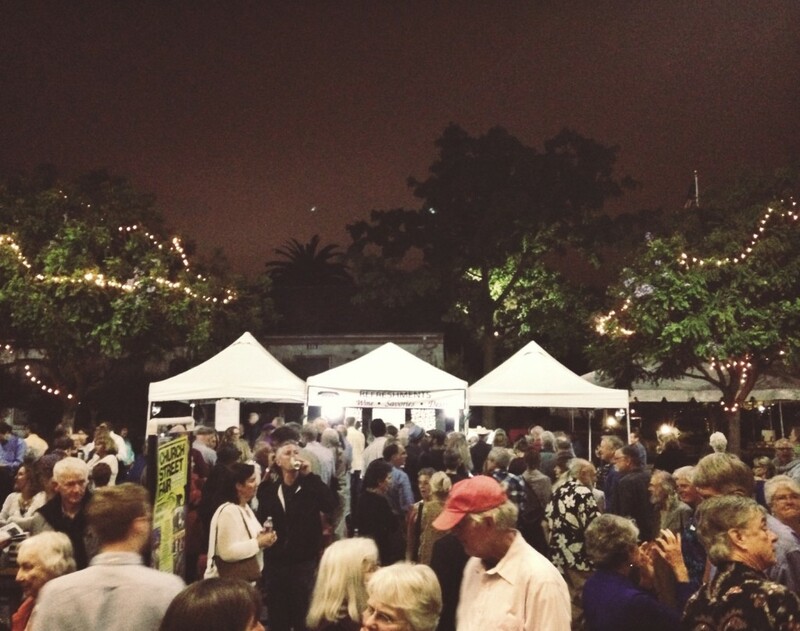 CITY OF SANTA CRUZ 5 yr estimate 2007-11 adults 25+ High school or higher 91.8% Bachelor’s or higher 52.2% The Concert at the Civic Auditorium August 1, 2014 NATIONAL ENDOWMENT FOR THE ARTS Survey SPPA 2012 Key Findings extrapolated by the League of American Orchestras The percentage of U.S. adults attending a classical music performance held steady from 2008 to 2012. Nationwide, 8.8% of all adults, or 20.7 million people, attended at least one classical music event in the 2012 survey year. Music viewing and/or listening is the most popular form of media arts participation captured by the survey whether the medium was TV, radio, or the Internet. Adults between the ages of 35 to 54 reduced their attendance in classical music from 2008 to 2012, but this trend is much bigger than classical music. Participation rates in the narrower range of 35 to 44 declined in musical theatre, non musical theatre, outdoor performing arts festivals, art museums and galleries, historic and design tours, and reading of any kind. Where is this group turning? The 35 to 54 age range increased their movie going. Percent of U.S. Adults Who Attended a Classical Music Performance, by Age: 2008 and 2012 **change is statistically significant at the 95 percent confidence level 2008 2012 all adults 9.3% 8.8% Age 18-24 6.9% 6.6% 25-34 7.0% 7.3% 35-44 8.9% 6.4%** 45-54 10.2% 8.2%** 55-64 11.6% 11.0% 65-74 12.2% 14.0% 75 + 9.7% 11.0% SANTA CRUZ COUNTY DEMOGRPAHICS (Santa Cruz County community Assessment Project, 2013) TOTAL POPULATION: 2012 226,776 50.3% female. 49.9% male Asian 4.0% Black 1.0% Hisp/ Latino	32.7% White 58.7% Other .7% Multi- Race .3% AGE DISTRIBUTION < 5 5.6% 5-19 20.1% 20-34 21.9% 35-59 34.2% 60+ 18.1% LANGUAGES English only 68.1% Language other than English 31.9%, highest being Spanish at 35.5% EDUCATION SANTA CRUZ COUNTY Adults 25+ High school or higher 86% Bachelor’s degree or higher 38.3% CITY OF SANTA CRUZ 5 yr estimate 2007-11 adults 25+ High school or higher 91.8% Bachelor’s or higher 52.2% BACKGROUND The ambience for the concert was created well before the doors opened, with a Church Street Fair, where a full dinner with wine and desserts was available for purchase with many large round tables and chairs for people to eat together and to listen to a presentation on a raised stage of 3 several musicians and the conductor about the evening’s music to come. This created a a warm, community-based, educational experience as well as a bonding for the audience. People could also stand or sit without purchasing edibles and enjoy with the others. Educational component: There was a very strong educational component, both from the above musicians/conductor before the actual performance and before 2 of the 3 selections during the evening. Explanations by the composer of his work and small snippets played by the orchestra gave an excellent introduction to what the audience was about to hear. The involvement of the conductor and her warm relationship with the audience was evident. Indoor observations were done for the center orchestra section of about 260 seats and one siden section of about 100 seats as well as general observation of entry, exit and intermission behavior. 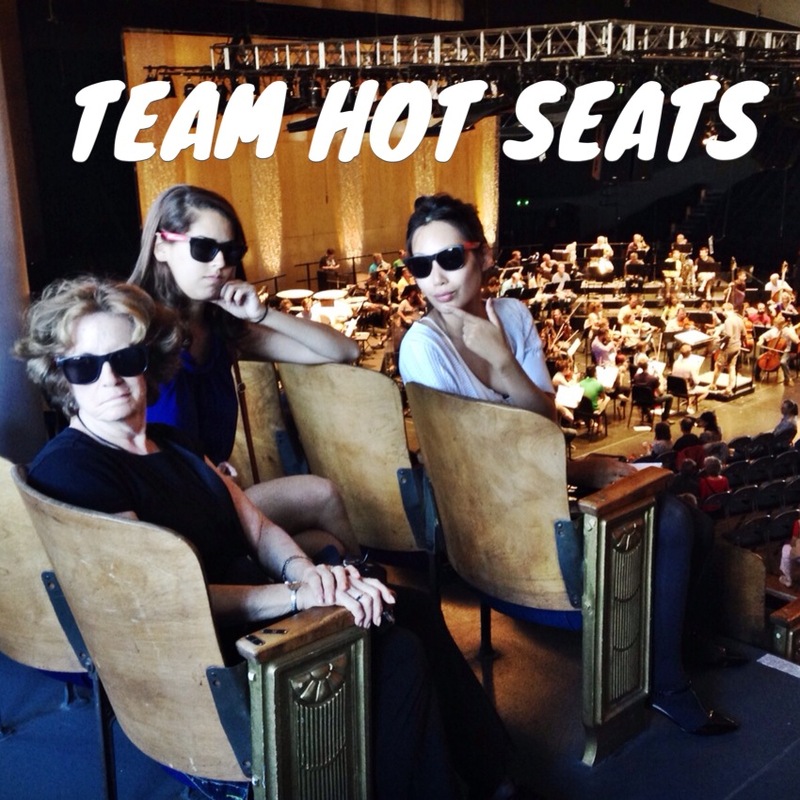 ORCHESTRA SECTION OBSERVATIONS Age: The range was 45 and older, with a preponderance (maybe 2/3) of over 60. There were some families and a few kids, some young 20s-30s couples Gender: 50% male; 50% female Several in wheelchairs, motorized chairs, walkers, with canes, and needing assistance. Characteristics: Almost all arrived in groups of 2-4, some in large groups, few solos. Race: Largely Caucasian, very little diversity The Concert Experience The evening had one world and one West Coast premiere. 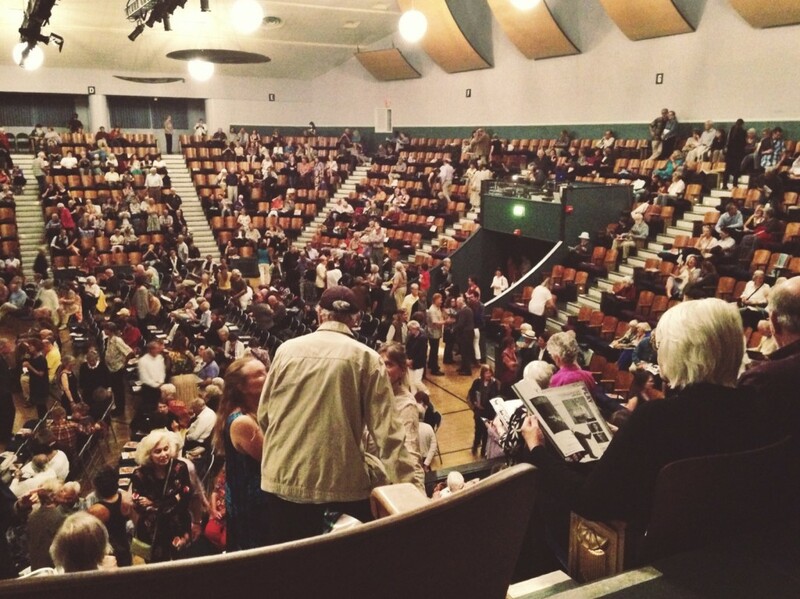 Many chatted on the way to their seats, reviewed the program before the concert and during intermission. No one left the concert during the first half; only a few left during the 2nd half. No one entered late; a few returned from intermission late. Generally, this was an intensely engaged audience with almost no coughing, no squirming who seemed to be part of a community in the hall for the collective experience. (“You don’t cough. You don’t breathe.”) They listened closely, with some closed eyes and some asleep, through 3 different pieces, at least one of which would have been considered very different from most fare for an older demographic as it was based on video games. At the end of the first piece, an audible collective sound of surprise and pleasure arose from the audience just before they applauded. The conductor wisely moved that difficult piece from the last number to the second piece before the intermission (or she might have lost some of the audience awaiting in anticipation for Bela Flack who now played the last piece.) The audience clapped for a long time after each piece, and so long that Fleck gave an encore. When glancing at the audience as a whole, there appeared to be a sea of stillness. But when observing individuals nearby, the following was found: -From several: a permanent soft smile; a look of enthrallment -From a man 65+, toe tapping as music gained momentum -From a man around 35 years old, playing with beard to the particular rhythm of the music -From the same 35 year old man: when music got slower, he massaged his partner’s shoulder -During Bela Fleck performance, the same 35 year old man did his on air “conducting” -The same 35 year old man considers himself the “black sheep of the family” because he is a visual artist, where as rest of his family are musicians -Audience seemed invested; overhears quite a few conversations about how people were at the open rehearsals previously in the week -Laughter during erratic parts of the video game inspired song (when abruptly stopped) -Overheard “He looks about 12” when composer came out, said by 65+ year old woman -Several conversations about music in general: - “have you hear about this next piece?” -“I just finished an opera and am exhausted – I thought all of these years I’d get easier but it doesn’t” -“It’s so exciting to hear new stuff” -“There’s every kind of percussion in this performance– even a washboard!” -Observed a 65+ woman closes eyes during most of performance -As music got more intense, 65+ crowd head nodding Intermission behavior: Inside the auditorium, many people talked to others, sometimes about music. The ambience is very social. Two researchers were also stationed outside to observe audience behaviour as many attendees went into the street where refreshments were served. The researchers observed about 21 conversations related to the music experience among groups of 2 - 5. Some expressed likes and dislikes of the show, others expressed their emotional reaction to specific instruments. For example, an older woman animatedly discussed the performance with her companion. She said, “The percussionists—you could tell they were all looking at each other, because they had to come in at the same time,” and then she pantomimed the clashing of the cymbals. Another woman discussed the reactions of the people around her at the concert. 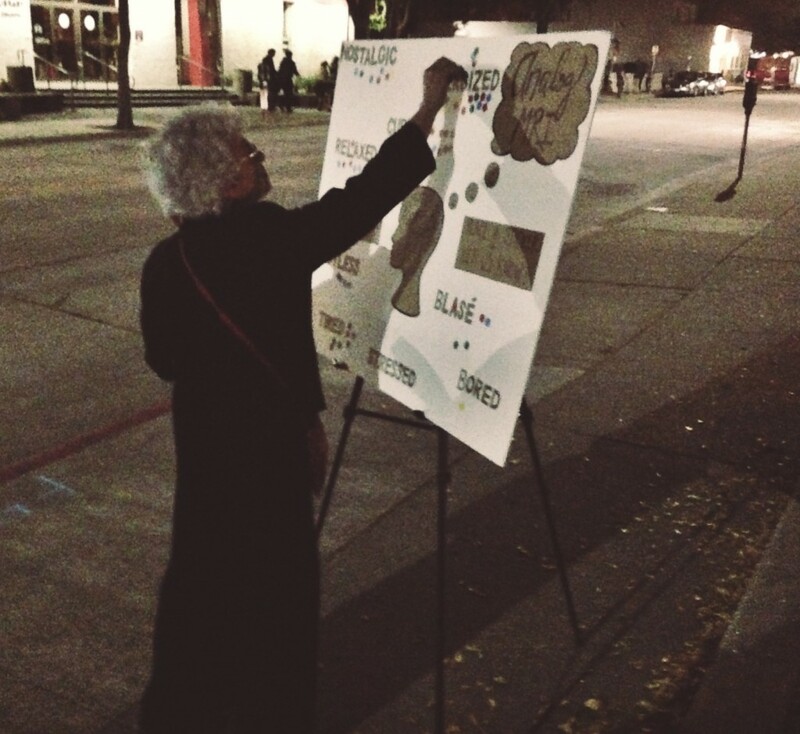 These conversations, while varied, demonstrated a range of critical reflection, emotional stimuli, and collectively transformed the street into a lively, dialogical space. Exit behavior: Many people left smiling, some discussion the experience. “I loved that banjo playing.” “I think he did a great job.” The Analog MRI yielded results that support the observations. Approximately 25 attendees stopped by the interactive display to share the emotions they were feeling after the performance. Many added multiple stickers on the board. The majority of the participants reported feeling “energized” and “curious” after the concert. A small number reported feeling “tired,” many of whom explained that they enjoyed the concert but were exhausted after a long performance. One woman expressed how difficult it was to describe how she felt; moreover, what she was feeling was not notated on Analog MRI. She further explained, “I felt inspired - I felt I time traveled.” Where she went? “Heck, I felt I went everywhere! I felt I went to other worlds - it was so exciting! I am just buzzing; I feel movement. I feel this buzzing moving throughout my entire body.” Very few indicated other negative emotions. The intense level of engagement with this audience and the musical experience supports our hypothesis that this was a meaningful event, experienced collectively. It was a VERY social environment. The planned educational pieces greatly enhanced the experience as did the Church Street Fair. Conductor Marin Alsop seems not only dedicated to this group, but performs almost aerobically, so she is compelling to watch even when the music may be difficult. RECOMMENDATIONS FOR THE FUTURE Given the demographics of Santa Cruz, it behooves Cabrillo to diversify its audiences, both in race/ethnicity and age. Perhaps an advisory committee from the community should be created to help with this and continue the strong community allegiance. The very expensive promotional brochure and playbook beg the question of more attention to season subscribers, who are given one line of information and much more space is devoted to single ticket buyers. It would be interesting to see a cost analysis if this is effective. Brochure includes an add for a Monterey group for a season which has already passed (2013) – more attention needed here. Compare the audience stats from First Night and/or the Festival to SC stats (do they have this info)? Organize a community-based diverse focus group to find out what might appeal to other parts of the population to increase diversity. Perhaps the answer to the research question as to what makes this an engaging, meaningful experience has to do with 1) educational inclusion, 2) positive social environment, 3) intense listening of audience.